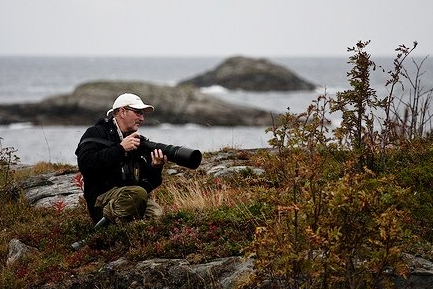 John Stenersen has trough a life-long dedication for ornithology and ecology acquired an unique knowledge of the nature of Northern Norway. He is a lisenced bird-ringer, a member of the rairities comity for birds in Nordland county, and has conducted field-work on birds and marine mammals for several institutions. He is one of the most experienced bird guides in Northern Norway, and also do seasonal guiding on terestrial and marine mammals. Trough Lofoten Nature Guiding he has established a network of skilled guides that covers the region, and he cooperates with guides all over Norway. Guides can be hired for groups or private persons, and your guided tour can be tailor-made for any schedule.